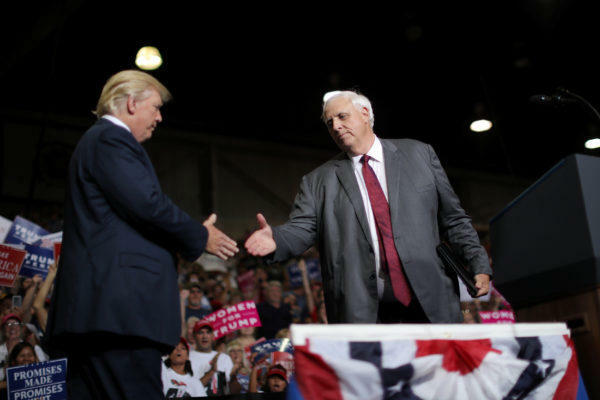 West Virginia's congressional delegation is urging President Donald Trump to approve Gov. Jim Justice's request for a federal disaster declaration for severe storms in the state in February. U.S. Sens. Joe Manchin and Shelley Moore Capito and Congressmen David McKinley, Alex Mooney and Evan Jenkins wrote to Trump on Wednesday. The letter says Justice submitted a letter last week requesting public assistance for 21 of the state's 55 counties and for hazard mitigation for the entire state. The letter says severe storms on Feb. 14 and Feb. 20 caused flooding, mudslides and wind damage in the state. The counties included in the request for public assistance are Brooke, Cabell, Calhoun, Doddridge, Hancock, Harrison, Lincoln, Logan, Marshall, Mason, Monongalia, Ohio, Pleasants, Preston, Ritchie, Taylor, Tyler, Wayne, Wetzel, Wirt, and Wood.